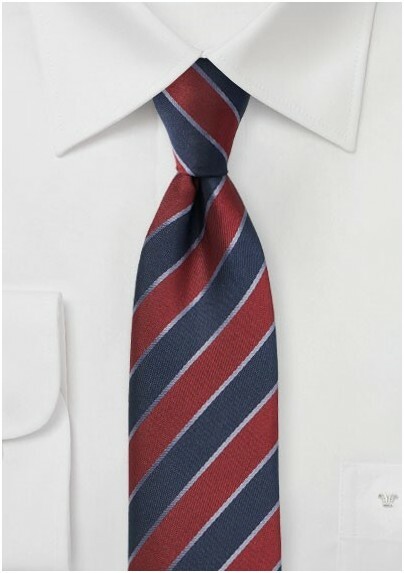 This preppy striped tie by PUCCINI features a classic striped design in the popular palette of cherry red, dark navy, and steel blue. 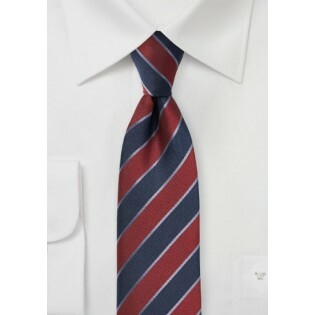 A great tie for fitted suits in light gray, stone, navy, and charcoal. For best looks we suggest a light gray 3-piece suit, pale blue shirt, and dark brown oxford dress shoes. Made by hand from woven microfiber.